HomeCommunityArticlesBusiness in the USAWhy MEET-USA.COM? Modern market relations are very different from those that were 10, 20 and even more 30 years ago. One of the main distinctive features of the modern market is the fact that a modern consumer has become very selective. Now the market has a huge number of proposals in any field. This is very good and convenient, because a consumer has the opportunity to choose, but for companies that offer certain services or products, this becomes a real challenge. Very often marketers and sellers make a big mistake, focusing on WHAT they sell, centering around the details and advantages of their goods, and not WHY exactly is this product or service you need to buy from them. The seller who sells seeds for the lawn will always have a lot less customers than the one that offers a beautiful green lawn near the house where your children will play and where you can have picnics with your friends. A real estate agent who sells the best quality square meters in the apartment built according to the modern technologies will always have fewer clients than an agent offering you a new lifestyle that you have long dreamed of. The Regional Center, which explains to you what a wonderful EB5 project it is and how suitable EB5 Program is for those wishing to obtain a Green Card or US citizenship, will certainly have fewer customers than the Regional Center, which will explain to you why implementation of your American dream will really be possible just with this Regional Center and with this project, and not with others. All of the Regional Centers, real estate agencies, law firms, travel companies in the USA have their own websites detailing their services and all the benefits that a client will receive if he/she contacts this company. But this is not enough for a modern buyer-consumer! 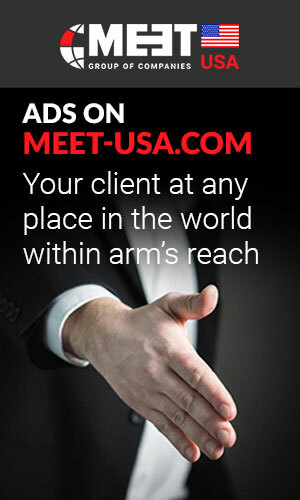 This is the reason why MEET-USA.COM portal is so rapidly gaining popularity among people all over the world. BECAUSE we answer the question WHY! Our user comes to us, because we have the opportunity to choose the best of the best, without having to spend time and effort on additional information searches, because when choosing an EB5 project, our user has the opportunity to do a comparative analysis, weighing all the Pros and Cons ", and choose what he/she likes, as they say in the USA "it does make sense". Here a client can immediately ask questions and get answers by contacting an immigration lawyer (at the same time choosing a lawyer), here he/she can immediately find out about the different types of visas and find a convenient visa center for himself/herself without leaving MEET-USA.COM portal, he/she can find a suitable translation agency with the possibility of notarization. And we can offer much more - real estate in the USA, education, medicine, work and entertainment! Making the decision to immigrate to the USA, the user can immediately look for real estate in America and contact various real estate companies, choose a University or College in America from a complete list of all US higher education institutions, one can find the information about various clinics in the USA and their services. At the same time, you can place your ad or view private offers from people in various spheres of life in the USA, you can immediately find out how to find a job in the USA and contact recruiting companies in America directly or post your resume. These are not all answers to "WHY" people from different countries, with different social status and of different ages come to us. It is for this very reason that more and more companies come to us. Because our portal is a direct target audience for their business. Because working with us is the maximum effect at minimal costs, because cooperation with us is an immediate result and not an abstract success in the immense future. Our portal is a unique resource that at the moment has no analogues, because we unite people by interests, and thanks to our portal, working with clients in different regions of the globe becomes very simple and convenient, because we do not have hidden fees or commissions, because our own success, profit and development, directly depend on the profit, success and development of our customers and partners. "In the future, two types of companies will remain on the market: those who are on the Internet and those who have left the business." Bill Gates.